I am a fan of P2P lending and I’ve been investing for over a decade – through the good times, the bad times and the ugly times. It’s a good way to turbocharge your investments with high rates of return – but watch out you don’t ignore a golden rule of investing – where there’s returns there’s risk! I’ve just read this article in the FT.com and it got me thinking about my relationship with P2P investing. There are some great P2P bloggers out there including Jurgen at Financially Free – his latest blog post is worth a read. More information on P2P lending can be found here. I’ve been investing with Funding Circle along with other P2P platforms for a number of years. Initially it was fun and the returns were good. I made a lot of my total return from (often very generous) promotions that they ran – thousands of pounds actually. I also suffered some bad debts which came about as a result of not diversifying enough and having lots of companies go bust. 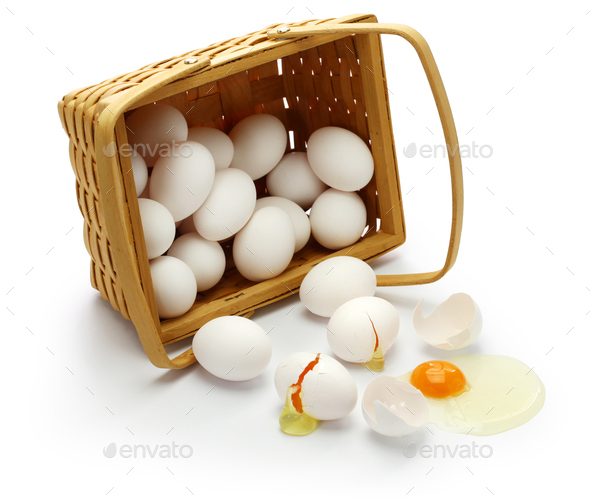 that’s a rookie mistake – don’t put all your eggs in one basket! I’m pretty tolerant of risk – but that’s no good reason to lose good money. Overall, my return on Funding Cirlce was around an IRR of 20% – not too shabby. With most of that is from the promotions. The lates and bad debts are sometimes slowly being paid back. I only have a few hundred pounds invested now but occasionally I invest more – particularly if there is a good investment or promotion. On other platforms, the returns were are less – worst was ThinCats which soured the whole P2P party for me. Zopa and Ratesetter were reliable and easy to use and I still have some money in both. I do suggest that people have a look at Funding Circle. P2P is not for everyone but Funding Circle is easy to use and the returns are quite good. Certainly, if you sign up with this referral link you and I can share £100 in Amazon vouchers if you invest £2,000. I have invested with platforms like Seedrs but I don’t do that at all – it’s not for me. So what’s this Investment Trust thing then? I would have invested as well except I thought about my portfolio of investments and decided that I would reduce my P2P investments and focus on low cost ETFs instead. Here’s a chart of the Funding Circle SME Income Funt. It launched at 100p a share in 2015 and traded at a modest premium until the end of last year. I don’t follow the boards on Funding Circle but the performance of loans has varied over the years and from the chart below, it looks like 2018 might have been a bad year. I’m lucky I didn’t put my money it because return of capital is more important than return on capital. The recent collapse in the scam company London Capital & Finance is a good point. Originally the target return was for 6 to 7% – paid quarterly as dividends. However, lower than expected returns means returns this year will only be 4%. Even worse, the company doesn’t think that it will cover its dividend until 2020. So, now the company will cease new lending and return capital to shareholders, or winding down the loan book. The Fund was only a small part of the Funding Circle business in any case and the company is still looking at ways to raise funds from institutional investors. You can still invest in Funding Circle itself. The shares trade at about 310p. I don’t hold any and I am unlikely to buy any as I have a different strategy than to own shares like these. There’s still great scope for growth for Funding Circle which is still running at a widening loss of £50m last year, that’s despite revenues going up by 55%. It’s a risky business P2P investing – there’s clearly a gap in the market but getting it right seems to be taking its time for Funding Circle. I think that there is a place in your portfolio for P2P investments. You can invest within and ISA and companies like Funding Circle are regalated by the FCA but you can still lose money. If you don’t like that idea, then don’t invest. Other firms like RateSetter and ZOPA whom I use and would recommend have and have talked about here. One bid attraction for opening an account is the bonus you get. Using this link Ratesetter will give you £100 (and me £50) if you invest £1,000 for a year with interest on top of that. For Zopa it’s £50 (and £50 for me) if you invest £2,000 for a year) using this link. Zopa also has an additional bonus of £100 if you invest in an IFISA Funding Circle will give you £50 (and me £50) using this link. As usual, be careful with your money. I only have about 15% of our net worth in P2P. Next Post Happy New Tax Year everyone!